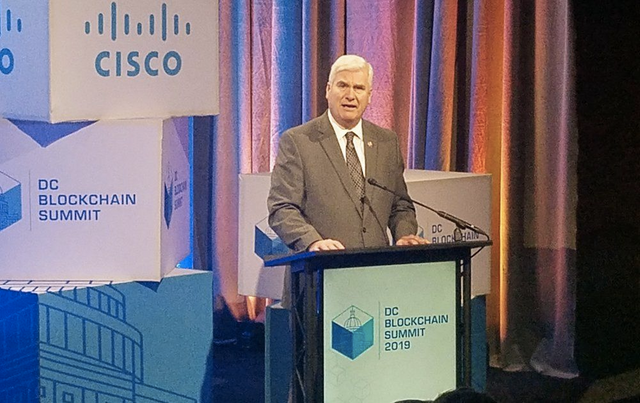 Addressing a recently concluded DC Blockchain Summit 2019, U.S. Representative Tom Emmer (R-Minnesota), a lawmaker who co-chairs the Congressional Blockchain Caucus, predicted that 2019 "stands to be the year of blockchain, the year we separate hype from reality, and begin harnessing blockchain in the right-use cases to lower costs and increase efficiency." In January Emmer introduced a bill in US Congress. Regarding his "Blockchain Regulatory Certainty Act" bill he said, "Money transmitter laws were enacted to ensure the protection of the consumer entrusting another entity with their funds in order to transmit them. If no funds are being entrusted to another, it should be certain that these regulations do not apply." In another report last month, MIT predicted that blockchain will go mainstream in 2019. We are still in the first quarter of 2019 and crypto markets aren't yet out of the woods. But there's plenty of optimism already. All that we can do is wait and watch. “I pledge to share my SBD+Steem reward from this post with @prosperist to earn Xteem tokens @ 1 Xteem token / $0.01”. "I pledge to share my SBD+Steem reward from this post with @prosperist to earn Xteem tokens @ 1 Xteem token / $0.01"
Not upvote due to last pledge reward pending to transfer @prosperist. @sharonomics & @rahemanali not upvote if status 'C'.